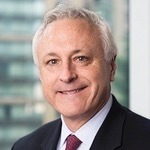 Bill Stromberg is focusing T. Rowe Price's [profile] 2019 investments in two areas. The Baltimore-based mutual fund firm's chief revealed that tidbit and more yesterday in an interview with the Baltimore Business Journal. The paper reports that, according to Stromberg, he will boost investment mostly in T. Rowe's "investment teams and client-facing teams." Stromberg made big boosts to both of those teams last year, too. The paper notes that he increased the investment staff to more than 600 in 2018, an increase of nearly seven percent, and that he also boosted the intermediary-focused client-facing team by 20 percent. Operating expenses are projected to rise by between four percent and seven percent this year (slower than projections for the past two years). Other tidbits from the interview include Stromberg's take on the possibilities of a recession or another government shutdown, international plans, and "the No. 1 issue" facing T. Rowe's hometown. Earlier yesterday, the T. Rowe Price team reported Q4 2018 diluted earnings of $1.54 per common share, missing analysts expectations by $0.06, though net quarterly revenue of $1.3 billion was in line with expectations. AUM fell 11.2 percent for the quarter and 2.9 percent year-over-year to $962.3 billion on December 31, 2018.